Pioneers in the industry, we offer main conveyor sprocket and trailer sprocket from India. Available with us is an extensive array of Main Conveyor Sprocket, which are precision engineered using optimum quality raw material that is procured from the most authentic vendors of the industry. Industry laid parameters are followed for the fabrication of this range to ensure dispatch of an error free range. 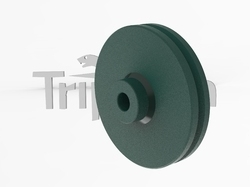 We bring forth an outstanding range of Trailer Conveyor Sprocket to our patrons. Offered range is evaluated by our team of quality checkers as per industry laid standards and guidelines. Optimum quality raw material is used in the making of this range as per the growing demands of the valued patrons. Moreover, this range can be availed in various sizes, grades and other dimensions as per the patrons needs and demands. Looking for Conveyor Sprocket ?